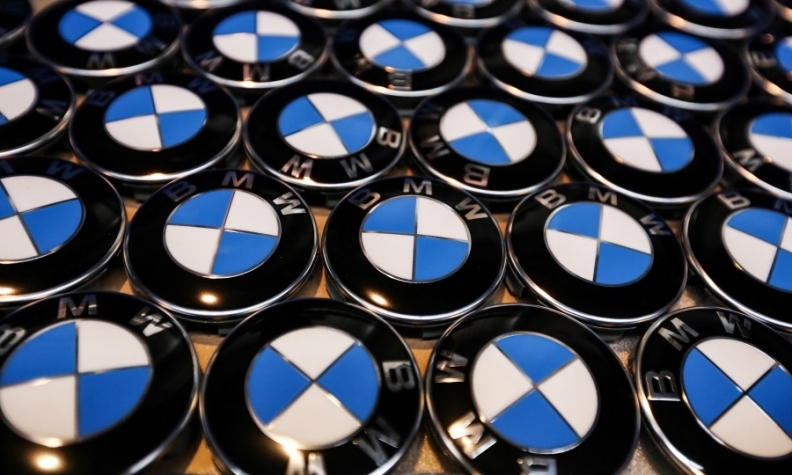 BMW topped its rival in the U.S. luxury auto market for the first time this year, eeking out a monthly sales gain and gaining ground on Mercedes-Benz. Deliveries of the X3 and X5 SUVs climbed 43 percent and 35 percent last month, respectively, pacing BMW’s total sales of 31,015 vehicles. 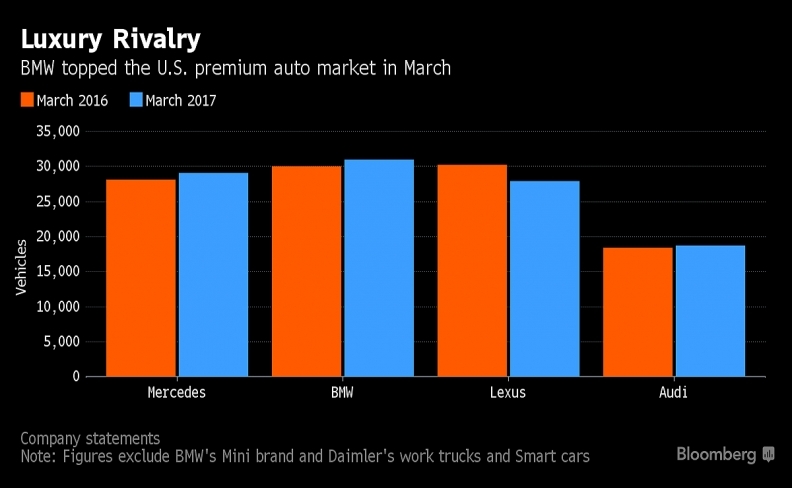 The automaker outsold rival Mercedes by about 1,900 units in March. As plummeting demand for passenger cars led most automakers to miss analysts’ estimates last month, BMW managed to keep deliveries of its 3-series and 5-series models roughly flat compared with a year earlier. The victory in March pulled BMW to within 7,500 vehicle sales of Mercedes through the first three months of the year. BMW ceded the global sales title to the Daimler unit for the first time since 2013 last year as Mercedes brand sales rose 11 percent to 2.08 million, outpacing BMW's 5.2 percent rise to 2.0 million. BMW CEO Harald Krueger is planning to respond by unveiling 40 vehicles over the next two years, the biggest rollout of new and revamped models in BMW’s history. Its sedan-heavy lineup has put it at a disadvantage in a market where Americans are increasingly opting for crossovers, said Michelle Krebs, an analyst with Autotrader.com. “BMW has sport utility vehicles, but it’s not its great strength,” she said by phone. Mercedes has sold 79,141 vehicles in the U.S. this year through March, compared with BMW’s 71,682 units. The laggard in the Mercedes lineup last month was the entry-level CLA coupe, with deliveries plunging 52 percent. Audi said deliveries rose 1.7 percent to 18,705 vehicles in March, boosted by an 18 percent increase for the Q5 SUV. Sales for Toyota Motor Corp.’s Lexus line fell 7.5 percent, driven by a 28 percent slump in passenger car sales.